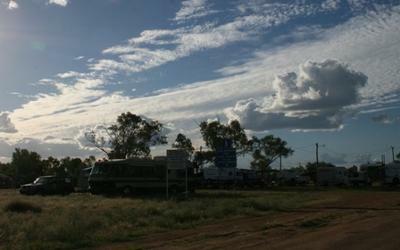 There is a free camping site next to the river just west of Longreach. It is quite nice and there is heaps of yabby in the river. The camping ground can get quite crowded. There are toilets, but no showers and no power. The good thing though is that it is FREE. Join in and write your own page! It's easy to do. How? Simply click here to return to Camping Reviews.